“Wow, nice truck! I didn't know Bison had Peterbilts … " I hear this a lot, also .. "Now that is a nice company truck!" I drive a 2016 Peterbilt 579. I've been driving it for seven months now and I absolutely love it. I'm often asked why, so I decided to write about my love affair with 'Petra'. Yes, I've named my truck, and sometimes I even talk to her. It all started about 30 years ago. As a young boy I got a toy truck for Christmas. "It's a transfer truck”, my mom proclaimed. It was a Peterbilt replica, with the big chrome stacks and Canadian Tire emblems on the box. I would zig-zag it across the floor, and forever dream of someday driving a big Pete of my own. Fast forward to 2008, I've just graduated from a Transport training academy and passed my class one. A small company with about a dozen trucks gives me my first ride. It was a Kenworth W900: a big truck with a Detroit engine and an 18-speed manual transmission. I spent my first two years running the BC Rockies. I was living the dream. 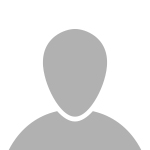 But when the company started to have financial trouble during the recession in 2010, I began to look for more stability and better miles. In January of 2011, I started with Bison. I was excited about the opportunity to do long haul cross border trucking. My first truck with Bison was a Freightliner Century Class. It had an automatic transmission ... and I didn't like it. Early generation automatics were clunky and jerky. I spent two years perfecting my shifting techniques only to have a computer decide when to shift? But I enjoyed working for a big fleet and was happy with the miles and stability. are smarter, and shift much more smoothly. My outlook on trucking changed as well. I began to realize that modern trucks are now more efficient and technologically advanced than ever before. With the rising cost of fuel, large fleets demanded their trucks get higher miles per gallon. With environmental legislation, the public wanted cleaner trucks that would emit less pollution. Aerodynamic trucks, with advanced automatic transmissions were now the market leaders, combining safety and efficiency, while reducing maintenance costs and reducing their carbon footprint. As I've aged, I've realized the importance of reducing our environmental impact on the earth. The effects of global warming can be felt worldwide, and I wanted to do my part to help limit the effects of carbon dioxide pollution while still providing the goods and services our growing population requires. Which brings me to late December of 2015. I had heard rumblings that Bison was getting some Peterbilt highway tractors. I put my name out there, fingers crossed! Sure enough, I got one. Visually stunning! I had to pick a name for her. My previous truck was called ‘Goldilocks’ after Bison’s signature gold-coloured paint scheme. 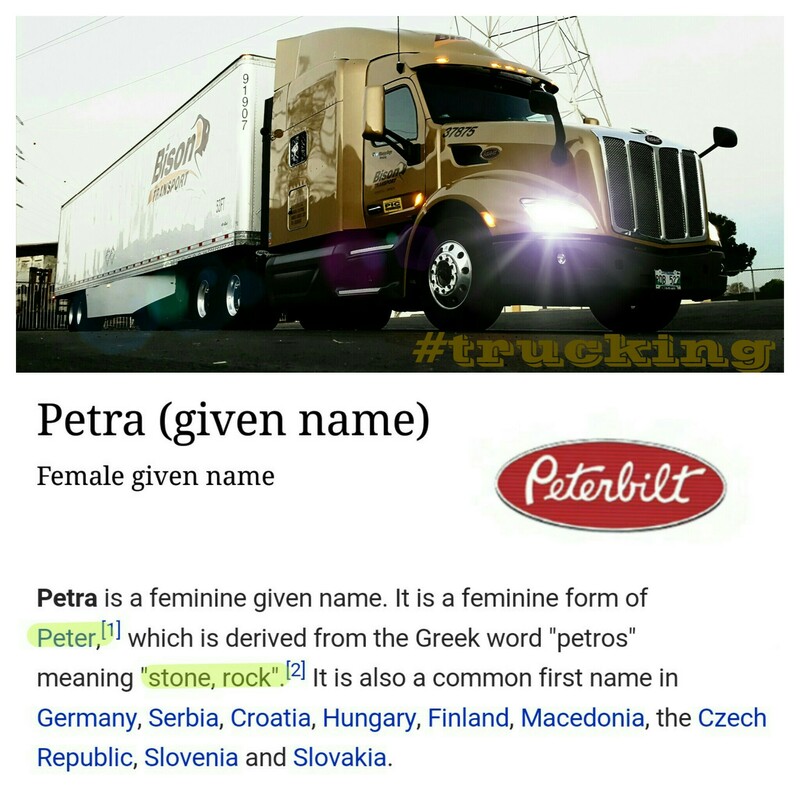 After much deliberation, I chose Petra: the feminine version of Peter, for Peterbilt. She has the look and feel of an ‘old school’ truck with a good combination of aerodynamics and modern advancements. To me, it’s the best of both worlds. She has a Cummins engine and one of the most advanced automatic transmissions that Eaton has ever manufactured: a 16-speed automatic. She has hill-start assist, creep mode and eco-roll. Being a 16-speed, the ratios are very close together, meaning when fully loaded, you can cycle up through the gears using minimal acceleration and rpm. She has manual shift buttons on the cobra style gear shifter. Personally, I like to shift it manually. I can hurry it up through the gears using less power to get up to speed, which really benefits my fuel economy numbers. Petra’s interior is fantastic. 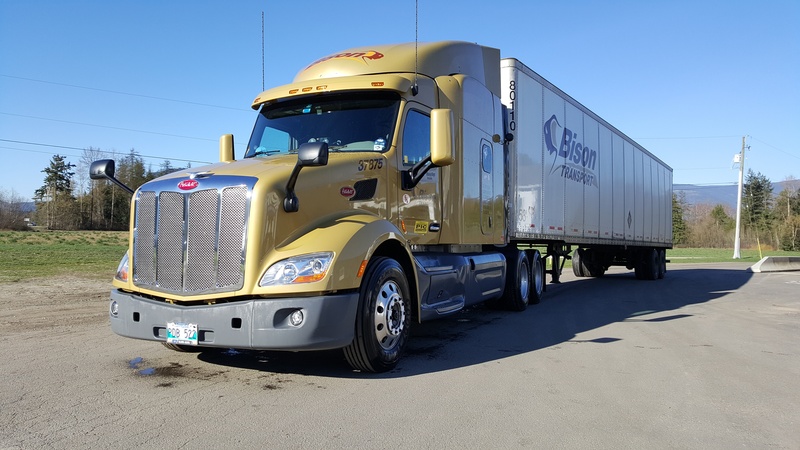 The cab is narrower than the Cascadia’s, and Drivers love that everything is within arms reach. The materials are what you would expect from a Peterbilt: good fit and finish, a fantastic looking gauge package, steering wheel-mounted controls. 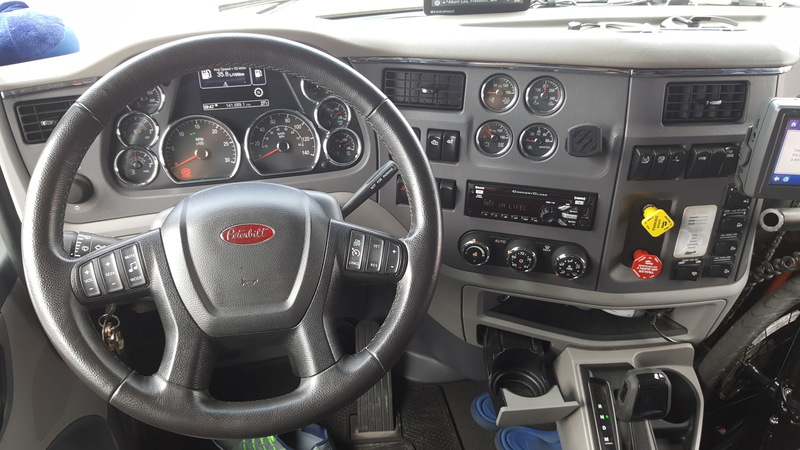 The leather wrapped steering wheel and the partial leather upgraded seats are just a few ‘nice touches’ that set this truck apart. The sleeper is a 76’ midroof. It’s much smaller than the Cascadia’s but I find it quite cozy. It’s probably too small for team drivers, but for a single driver like myself it is more than adequate and again, the materials and fit and finish are exceptional. I really like the emergency door on the driver’s side of the sleeper, as it’s great for putting in your gear or groceries. Petra drives and handles like you would think a Peterbilt would: steady and stable. Not the best turning radius, but terrific sightlines and a very comfortable riding position inside the cab. What was most surprising to me was how quiet this truck is. Virtually no wind noise, the doors and windshield are sealed perfectly and the doors open and shut with the feel of a luxury sedan. Nothing shakes or vibrates on this truck. Going down the freeway at 62mph feels like floating on clouds. The antilock disc brakes up front give Petra a very steady braking feel. Petra photographs beautifully and if my Instagram [@BlueJaysRoger] is any indication, I love to take pictures of her during my travels. I spend a lot of extra time shining and polishing. Personally, a clean and sharp looking truck is a reflection of who I am as a professional driver. I care about the company I drive for, and the appearance of my truck is a direct reflection of my passion for trucking.